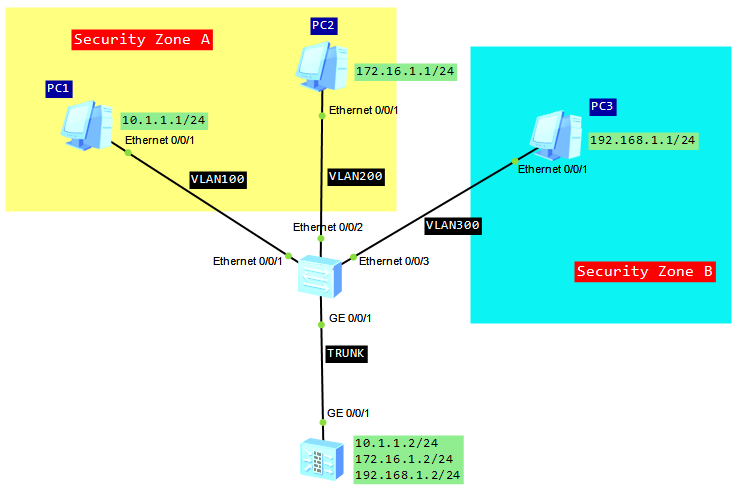 In traditional 802.1Q protocol, service provider should assign different VLAN IDs to users of different VLANs. The numer of VLANs is limited to 4094 IDs. In addition, different users cannot use the same VLAN ID. A simple method to solve this is to implement QinQ. The QinQ technology improves the utilization of VLANs by adding another 802.1Q tag to a packet with an 802.1Q tag. In this manner, services from the private VLAN can be transparently transmitted through the public network. 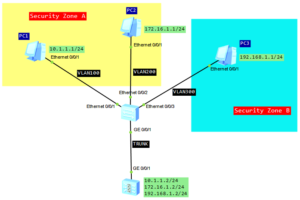 The ISP network only provides one VLAN ID for different VLANs from the same user network. This saves VLAN IDs of an ISP. Meanwhile, the QinQ provides a simple Layer 2 VPN solution to a small MAN or a local area networks. Let’s assume that we have two enteprise networks. Each enterprise has two branch offices, located in different cities. As an ISP, we cannot force these enterprises to use different VLAN planning. In our case, both use VLAN 10 and our task is to transparently transmitt traffic, through ISP network, between remote offices. What we want to achieve is to ensure communication between remote offices of each enterprise and to block communication between Enterprise_1 and Enterprise_2. We can use basic QinQ tunneling in this case. 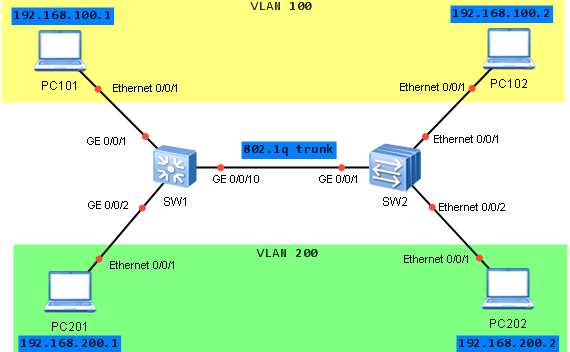 It adds the same outer VLAN tag to all the frames entering a Layer 2 port.